Reputation has a lot to do with how companies have survived over the years but companies do not have a power over their reputation. The customers are the witnesses to how good or bad are the services of a carpet cleaning company are. Ask your friends and family which carpet cleaning company they patronise and if they are satisfied with the services. Man is a creature of habit and sometimes we find it easy to comment on the negative side than on the positive. So if a certain company got thumbs up from your friends and family, that company must have been really good. Now that you have an idea what carpet cleaning company to choose, why not give them a call? You are a customer and you have every right to ask anything about the company. Prepare a set of questions such as what are the company’s basic and additional services offered, how long have they been operating, who are their patrons, how long will they finish a given area and many others. It might also be helpful to ask if they have special offers and packages. Do not close a deal over the phone when a company representative has not yet asked you detailed questions about your carpeting. You might have narrowed down your choices by now so you can invite a company representative to visit your house. Let him do his work. When the representative is done inspecting your carpets, he should be able to give you a detailed list on the things that needs to be done on your carpeting. Close the deal with what you have agreed upon. Avail only of the services that are needed. The very first step in carpet cleaning is to sweep away debris and particles. If you think you can manage to do that, do not include it on your agreement. Read through your contract to check if only necessary things are included. Do your homework. Carpet cleaning is an easy process. It only becomes tedious and physically demanding if you are cleaning a big area. As a customer and owner of the carpet, you have to make sure that your carpet is cleaned. Not destroyed. Make sure that your vacuum cleaner technician will no skip areas such as corners, back of the door and others. 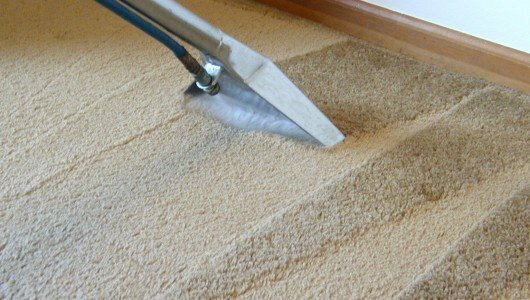 At Magic Carpet Cleaning in London, we provide all of the above services and we always give you detailed information on how our carpet cleaners will handle the job. So give us a call now on 0208 861 0979 for a free quote and free carpet cleaning advice!